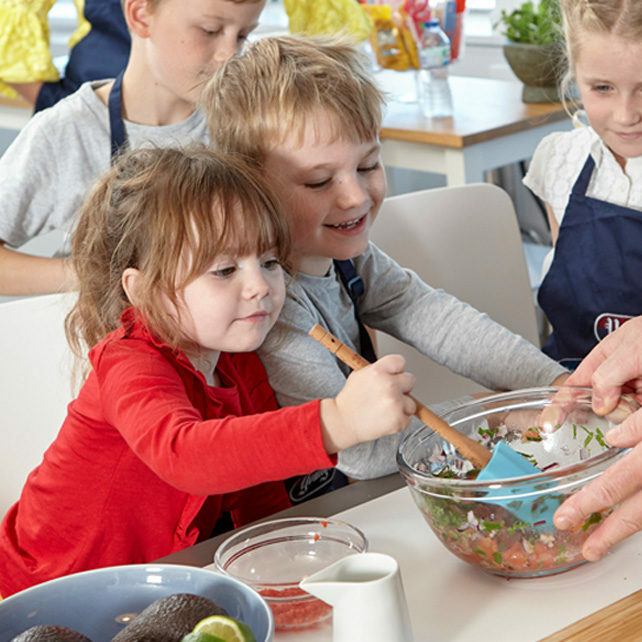 Our research for this campaign highlighted that almost half of parents (46%) were limited to just six or fewer dishes that they can cook from scratch because they are worried ‘picky eater’ children won’t finish their food. 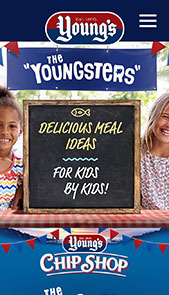 Young’s wanted to encourage these families to widen their recipe repertoire and try the Chip Shop range of products through a range of specially created Chip Shop meal ideas. Kids today don’t know food as well as they used to generations ago, and rarely cook with their parents. Parents are also resistant to trying new recipes so as not to waste time and money. Over a third do not want to cook something that the kids will turn their noses up at, and 44% don’t have the time to experiment. 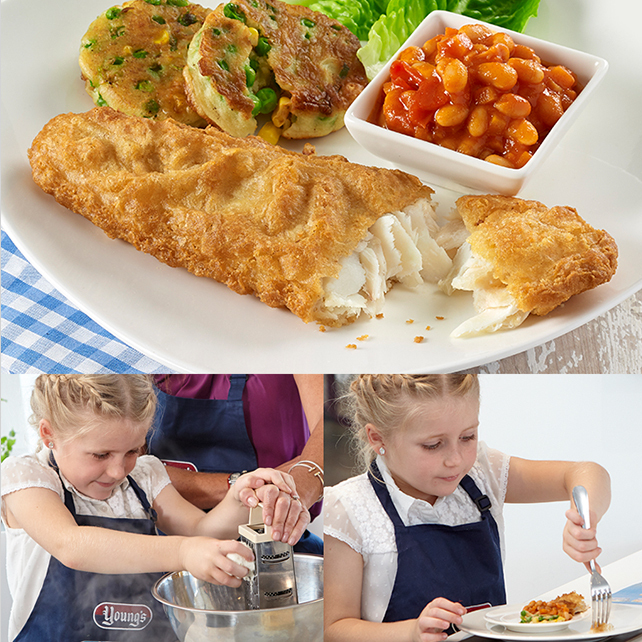 We needed to show parents that the Chip Shop meal ideas are super easy to make, healthy and enjoyable for the whole family, in particular children. 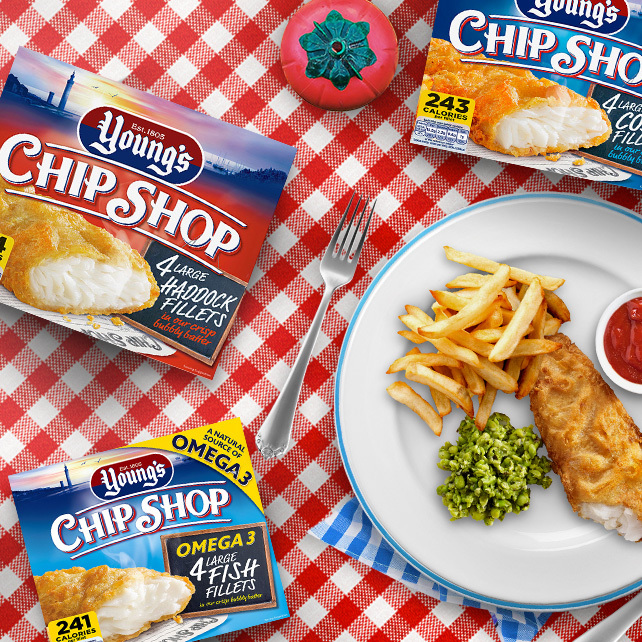 We created a series of four Chip Shop meal ideas… with a difference! These recipes were created by kids, for kids. 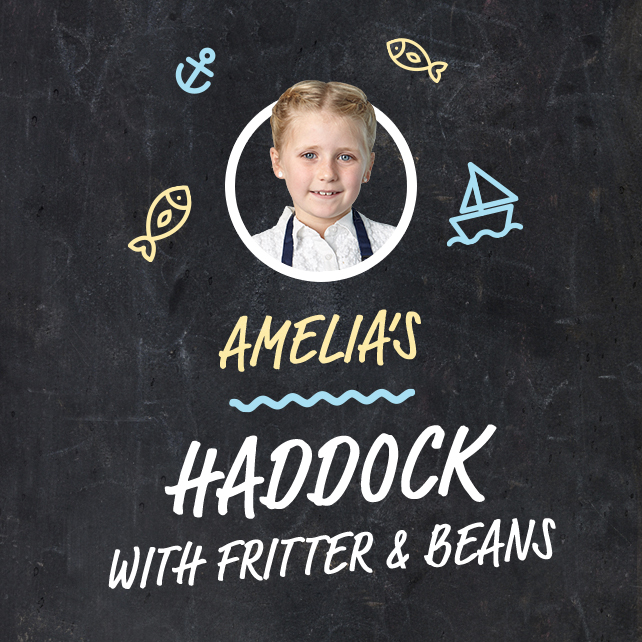 The campaign centered around ‘The Youngsters’ – a recruited panel of mini chefs and food critics – who created simple, tasty and healthier Chip Shop meal ideas (with a little help from a nutritionist and Young’s Head Chef, Serge). 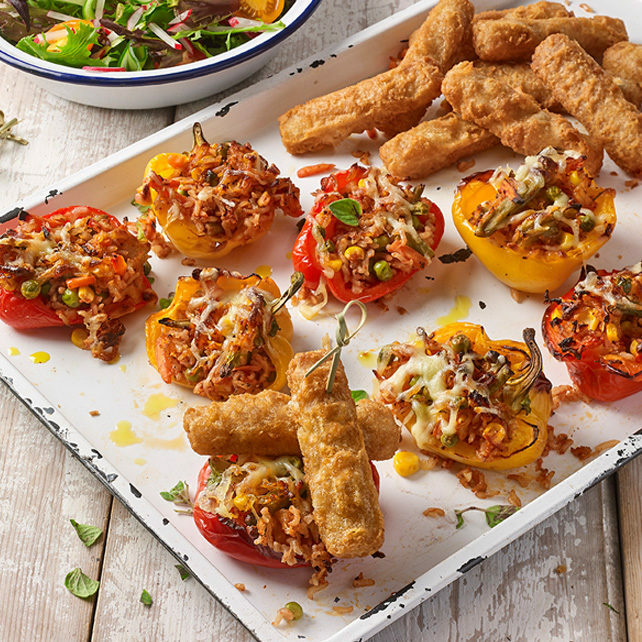 Because these exciting family meals are made by kids, it reassured parents that they were tried and tested – making it’s one less thing for busy parents to worry about. 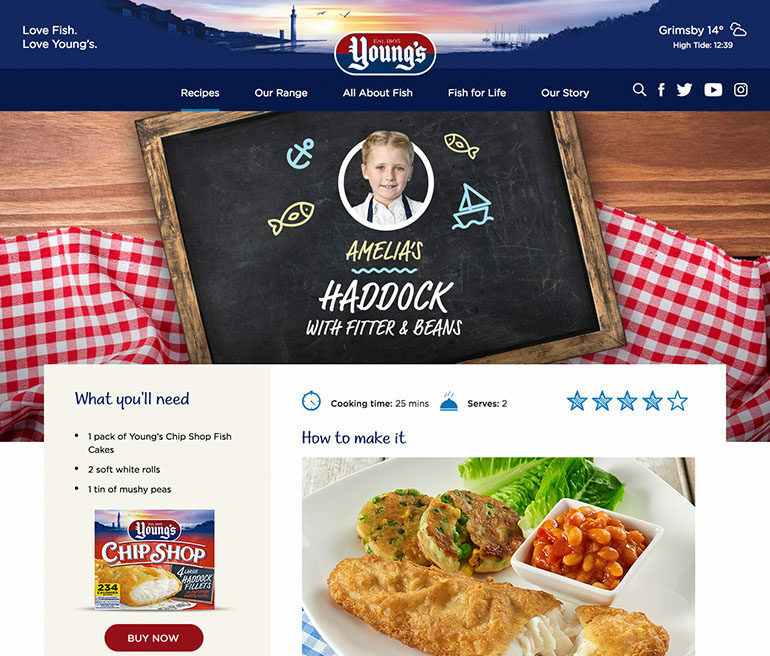 To introduce the panel of Youngsters and showcase their recipes, we built a bespoke hub page which also featured the Chip Shop product range with prominent call to actions to buy. 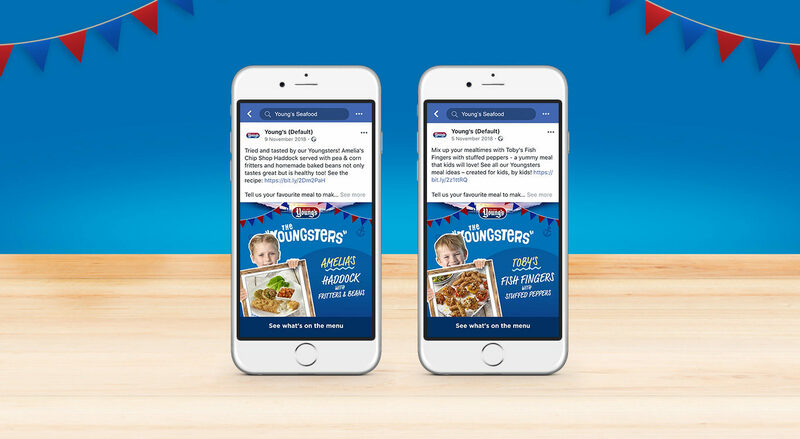 On Facebook, we ran four rich, mobile-optimised, video creatives – one for each Youngster and their recipe. 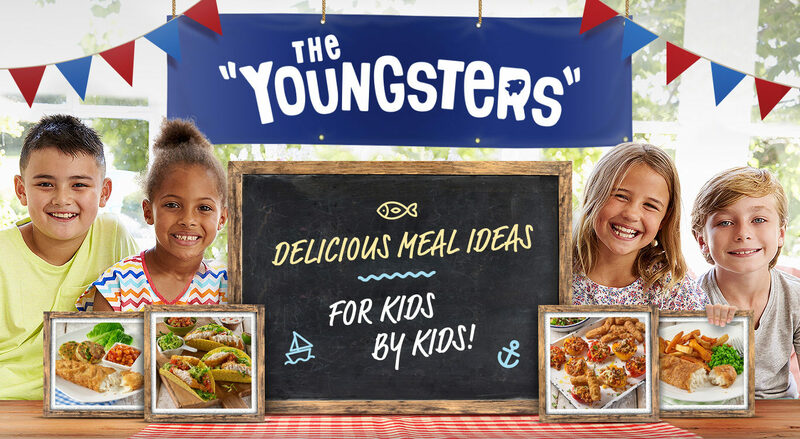 We also ran a competition on Facebook to encourage consumers to share their own Youngster’s meal ideas, for the chance to win a £10 Young’s voucher. We ran the advertising on a schedule on specific days between 8am-8pm, around key shopping and planning moments.